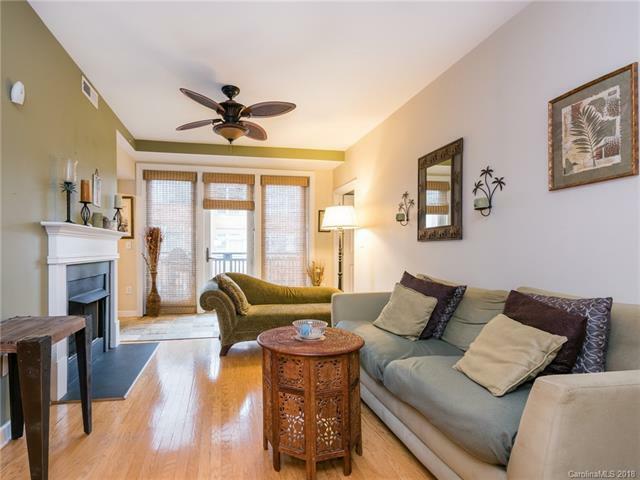 Beautiful condo offering walkable Uptown living at its finest w/an amazing city view! Gorgeous hardwood flooring, galley-style kitchen w/stainless appliances, pantry & breakfast bar. Fireplace in the great room. Master with walk-in closet & spa-like bath. Spacious 2nd bedroom. Personal balcony for relaxing. The building has it all: huge rooftop terrace w/fire pit, view of Panthers stadium, patio furniture & grills, plus Food Trucks, grocery & restaurants all downstairs. Easy access to I-77! You can walk to Panthers or Knights stadium!